WASHINGTON (AP) — The news is constantly on television at the Washington Capitals’ practice facility, and like any workplace, there’s no shortage of opinions. Those differences were on public display the last week when two players said they would not join their teammates in visiting President Donald Trump at the White House on Monday to celebrate their Stanley Cup championship. Canadians Braden Holtby and Brett Connolly said they’d respectfully decline the invitation. Several other players, including Russian captain Alex Ovechkin, Americans T.J. Oshie and John Carlson and American coach Todd Reirden have said they’re going. A vast majority of the team that won the first NHL title in franchise history is expected to tour of the White House and meet Trump in the Oval Office in a private ceremony. The Capitals are accepting of each other’s differences of opinion on going to the White House and say this isn’t a divisive issue and won’t be a distraction. Playoff hero Devante Smith-Pelly, who is black, told Canada’s Postmedia in June he would not go to the White House, citing Trump’s rhetoric. Smith-Pelly has been with the minor league Hershey Bears since late February. Without specifically naming Smith-Pelly, Connolly said he’s “in full support of an old teammate that I am really good friends with and I agreed with.” Beyond Holtby and Connolly, it is not clear how many players or team officials will not go to the White House. Owner Ted Leonsis has said he’ll go if the team chose to. A spokeswoman said Wednesday that Leonsis did not have any comment about the Capitals’ decision to go. Reirden, who was Barry Trotz’s top assistant when Washington won last season and has succeeded him as coach, said he has thought about visiting the White House while driving by it on Constitution Avenue, the same road the Capitals paraded down with hockey’s historic trophy. The Trump administration has taken steps to roll back protections for LGBTQ individuals, including rescinding guidance for schools on how to treat transgender students and attempting to bar transgender individuals from serving in the military. Orpik said the White House visit is not a point of contention among the defending champions like some on the outside are trying to make it. He’s quick to point out that even players who are going can agree with Holtby, but still want to experience one last Stanley Cup celebration. The Bruins lost to the Capitals in the first round of the playoffs in 2012, which was Thomas’ last season with Boston because he was traded to Florida. Thomas’ individual protest predated by many years the NBA’s Golden State Warriors’ team decision not to see Trump. 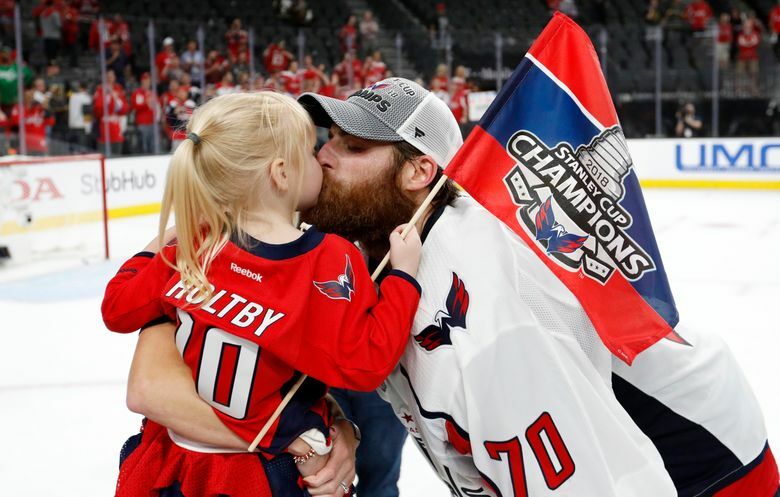 Holtby said that as soon as the first championship team decided not to keep up the tradition of being honored by the sitting president at the White House, it became a topic for other professional athletes and he’s not surprised this has become such a hot-button issue. 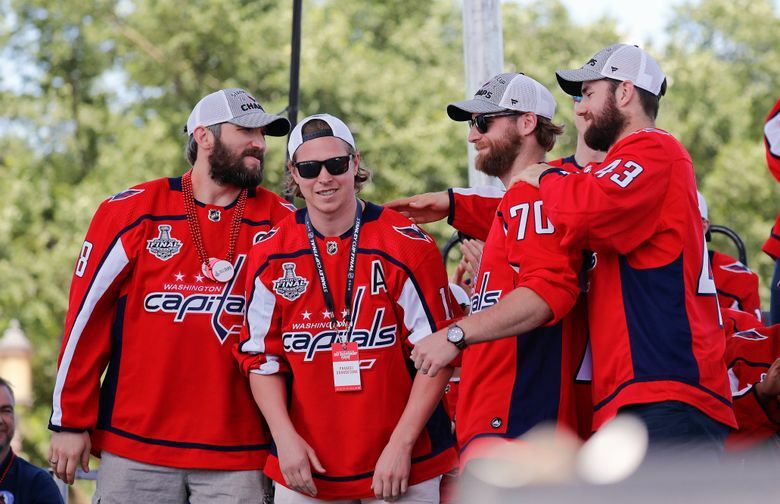 Capitals players have been unflinchingly supportive of each other’s decisions in recent days and insist the White House is not a controversial topic internally. The Capitals are in first place and figure to again be among the top contenders when the playoffs begin April 10. Despite their White House visit coming so late in the season, in the middle of a crucial stretch, they don’t believe it will negatively affect team chemistry or unity.